Today our teachers are meeting with others in the district for a study session. We do not know what will come of this but almost certainly school will not be starting on Monday, although I am always hopeful. As always, listen to the news, and check the VSB websites for updates. Our teachers have been very appreciative of parents who have dropped by to give them kind words and express their understanding and/or support. I know the teachers are eager to be back at school. Below our new Vice Principal’s letter you will find a list of possible activities for your children. Please use a search engine on your computer to find out more. Hello and welcome back to a new school year! 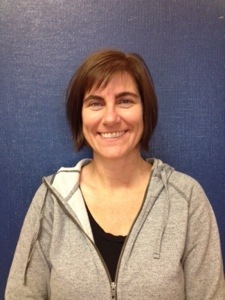 My name is Carrie Sleep and I am the new Vice-Principal of Maple Grove Elementary. Prior to Maple Grove, I was VP of Champlain Annex Elementary in the SE corner of Vancouver. I have worked as a teacher and administrator with the VSB for over 20 years. I continue to find my work as an educator engaging and rewarding. When I heard news of my new assignment, I immediately began to hear many positive comments and kind words about the school and community of Maple Grove. It is a pleasure to be part of the community and I look forward to working in this busy, vibrant and welcoming school. I continue to be hopeful that we will be back to school soon and look forward to meeting students, parents and staff. Please see below information about the Chinese School. We cannot confirm yet if it will be able to start on September 11th. 每逢星期四下午上課: 3:30 p.m. – 5:30 p.m.